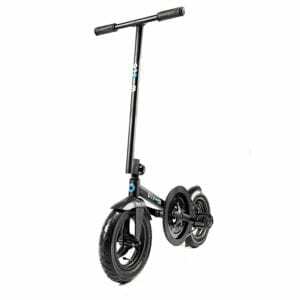 With the same exceptional Swiss design and uncompromising attention to detail, this innovative Scooter is perfect for teens looking for something with an edge. Incorporating wide, chunky wheels, unique to Micro, they offer increased confidence and control with for extra stability and grip. The adjustable and handlebar and kickstand add the finishing touches to the Micro Rocket, to really make it stand out from the crowd. The scooter has an adjustable handlebar (66cm-98cm) meaning you can find the perfect scooting stance for you. It also make the scooter suitable for older children and adults. The 120mm unique wheels give the Micro Rocket scooter incredible handling and control. The large footprint and patterning on the tyres give the scooter greater grip and therefore the rider more control. Perfect when riding over bumpy terrain. It’s the little things that count and we revel in those. 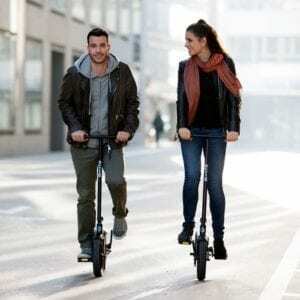 The Micro Rocket adult scooter has a kickstand allowing the scooter to stand upright itself, steers like a bike for maximum control and has a wider footplate for larger feet. The incredible finish and superior rear brake make this adult scooter a cut above the rest.